As experienced dental CPAs, we have the industry knowledge and expertise to help dentists maximize their income and minimize tax burdens. We ensure that your dental practice is in compliance with current tax laws and maintains the best accounting practices for the dental industry. In addition to accounting, we also provide business services to consult dentists on the financial and tax aspects of starting, running and selling a practice. As dental accountants, we provide financial consulting to our dental clients to help them get their businesses off the ground. Whether buying an existing dental practice or starting a new one, we guide our clients through the financial and tax process to get the practice up and running. We help dental practices navigate the complex tax system, get the right paperwork before making a purchase, review financial history and interpret the data to understand profitability, current debts and capital. It is important for those buying a new practice to understand the current state of accounts receivable of an already existing practice. How will remaining balances be handled? How will transition of staff be handled when it comes to payroll and group benefits? These are just a couple of things we can advise on. We also prepare cash flow statements and budgets for your practice so you can focus on other aspects of your business, such as hiring, customer service and oral healthcare. We will set up and manage payroll administration services for your dental practice so that you don’t have to hire a bookkeeper or use your own valuable time to deal with payroll processing, payroll taxes and reporting. We can also help you set up direct deposit for your practice if you haven’t already. We help our clients prepare their individual tax returns and prepare taxes for the practice. We protect you and your practice from IRS audits and manage quarterly tax payments. Chandler & Knowles CPAs ensure that everything that needs to be reported on your taxes gets reported, such as IRA contributions and all the possible itemized deductions for your business. We also help you to minimize tax payments and ensure that you are never overpaying. We help dentists and physicians to protect their assets from taxation whenever possible. Dentists commonly make the mistake of not making adjustments to their retirement plan as time goes on. As with most dentists and medical professionals, you may make little to nothing in your early years and then have a much higher income later in life. Your retirement plan should be adjusted accordingly. We also help dentists plan for the succession of their practice with tools such as buy/sell agreements and we provide estate planning services. We advise on the best strategies to for retirement planning while also reviewing and advising on asset protection from lawsuits in working years and also into retirement. We also help with group benefits for your staff. This includes health and life insurance and retirement benefits. Additionally we can implement key employee, deferred compensation, and executive bonuses when the time is right. We use advanced tax planning strategies to help mitigate the costs of taxed retirement funds later on in life. 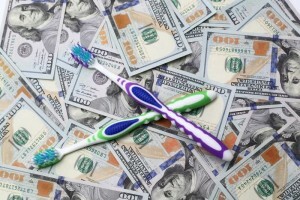 At Chandler & Knowles, we work hard to help our dental clients achieve financial success in their business. Find the solution to your most taxing problems by learning more about all of our services. Get back to doing what you like to do, take care of patients while we take care of your practice’s financial health and your retirement planning. To learn more about our dental accounting and business services, contact Chandler & Knowles today by filling out our online form or calling us at (817) 430-3000 to make your appointment at one of our offices in Flower Mound or Addison, TX.